Parents coping with cancer often say that their top reason for doing everything they can to get better is their children. A cancer diagnosis is incredibly stressful on its own, and a parent’s concern about the impact the cancer may have on their children can add substantially to this stress. Parents may worry about what to tell their children about their illness, when to share new information, and how to respond to children’s worries when they themselves are feeling afraid. New parental challenges inevitably arise during treatment that require timely and informed parenting support – and this is where the Marjorie E. Korff Parenting At a Challenging Time (PACT) Program comes in. This program, created two decades ago at the Massachusetts General Hospital Cancer Center, is the first of its kind in the U.S. The team provides specialized, professional guidance to parents so they can support their children’s resiliency through the full course of the illness. It is free, and available to all patients cared for at the Mass General Cancer Center. The multidisciplinary PACT team includes five clinicians who are board-certified child psychiatrists, child psychologists, and social workers who bring expertise in normal child development, positive parenting approaches, and child mental health. The team members have years of experience working with families facing medical illness and are attuned to the variety of ways a parent’s illness at all stages can affect children of different ages and temperaments. Working in tandem with the rest of the medical team, PACT clinicians collaborate with patients to help them manage the parenting challenges that arise when living with cancer. PACT visits frequently occur on the same day the request is placed, which can be done by the oncologist, nurse, social worker, or directly by the parent themselves. These visits may be in-person at the hospital, or meetings may occur by phone when face-to-face visits are more difficult to arrange. The PACT team works hard to respond as quickly as possible to requests so parents do not spend time feeling alone with their concerns. During the initial meeting, which typically lasts about an hour, clinicians want to learn about the children in the family. Learning about each child’s strengths, vulnerabilities, personalities, and understanding of the illness helps the clinicians provide personalized guidance. Depending on the parent’s specific questions and concerns, the conversation might focus on ways to communicate new information to the children, and the kinds of questions and reactions they may have in response. 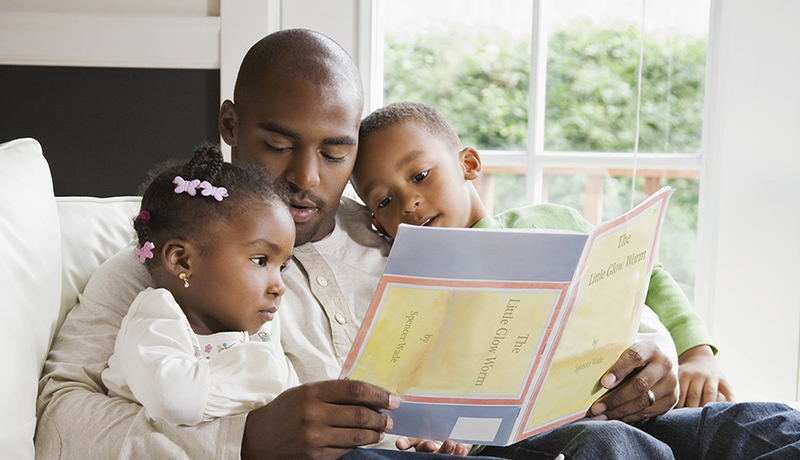 The clinician may also help the parent identify the specific content and words they plan to use. Together, the clinician and parent may discuss how to help support the children as they adjust to changes in a parent during treatment, and how to help the parent decide if a child needs some form of additional support to ensure that they can thrive during this challenging time. Parents of all socioeconomic classes, races, ethnicities and sexual orientations are served by these individualized interventions. Since open communication is such an important factor in allowing children to cope well with difficult situations, PACT consultations aim to increase parents’ comfort talking with their children, and in helping children talk to them. “Be honest and open with your children” is easy advice to give, but far more complicated to actually execute. The PACT clinician’s professional background and exposure to the accumulated wisdom of thousands of families, combined with parents’ expertise on their own children, allow parents to come away from a PACT meeting feeling they have words that feel comfortable to use with their own children. Sometimes one conversation is enough, and sometimes longer-term relationships develop between parents and the PACT team. Follow-up visits with parents are an option to support a child’s healthy development throughout the patient’s cancer treatment. Throughout the illness, PACT clinicians work with parents to develop personalized strategies to use for situations like delivering difficult news to children, nurturing open family communication, and even supporting their children through a parent’s death and bereavement. In addition to these meetings, the PACT program offers several other resources for parents dealing with medical illness. Paula Rauch, MD, the Founding Director of the PACT Program, co-authored the book Raising an Emotionally Healthy Child When a Parent is Sick. In addition, the program’s website offers a wealth of information about talking with children about cancer and supporting them more generally, as well as booklets to download. A generous endowment by the Korff family in honor of Marjorie E. Korff, a loving and beloved mother who died from cancer in 2006, has supported the growth of the PACT program. There is still much to be done to ensure that people with cancer everywhere can access informed, thoughtful guidance to help them feel confident in the critically important role of Mom or Dad. Learn how you can help. If you are currently a patient at the Mass General Cancer Center and are interested in meeting with a PACT clinician, call 617-724-7272 or email moreinfo@mghpact.org.